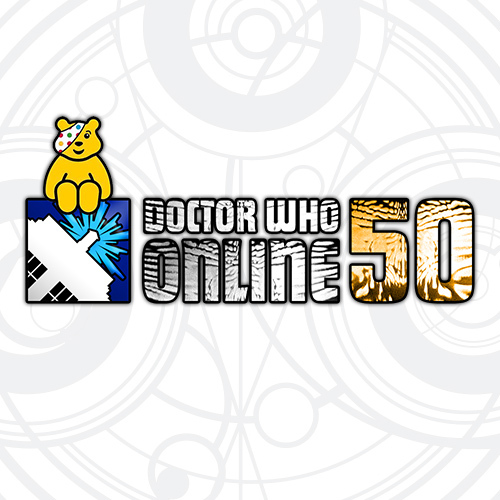 5/10 Doctor Who Online needs you! 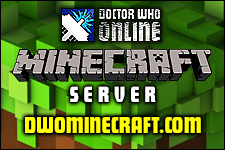 Doctor Who Online needs you! In 2009, to celebrate the 200th Doctor Who story (Planet of the Dead), Doctor Who Magazine ran ‘The Mighty 200!’, a survey to find out just where those 200 televised stories sat within fan estimations. That poll led to the Fifth Doctor’s 1984 swan song, The Caves of Androzani being crowned the greatest Doctor Who story ever, with the following story, The Twin Dilemma consigned to the opposite end of the list, coming in as number 200. Since that poll was conducted, however, there’s been almost 40 new adventures for the Time Lord, which has taken us into his Eleventh Incarnation, introduced us to the Ponds, revealed the secrets of River Song, and brought us a whole new universe of terror. Just where do these stories sit within the history of the programme? Are any of them able to displace The Caves of Androzani? What we want you to do is mark each of the Doctor’s televised adventures out of 10, using the form below. A perfect score of ’10’ should really be reserved for the very best of stories - those which you feel are practically perfect. Similarly, a score of ‘1’ should only be given out to those stories which have no redeeming features at all. There’s no limit on how many 10s or 1s you can give, or any of the numbers in between, this is about how much you enjoy these stories. It doesn’t matter if you’ve not seen all of the Doctor’s televised adventures - just leave blank any that you don’t feel you can rate. The results will be displayed as an average of the scores given, so some of the older stories (which may draw less response than the more recent ones) won’t be losing out unfairly. You’ll notice that we’ve split The Trial of a Time Lord into five separate options, just as the Doctor Who Magazine poll did in 2009. The story was originally broadcast in 1986 as a 14-part epic, and this is how we’d like you to rate it. However, it’s often thought of these days as being a collection of four separate stories with a linking theme, so you’re also welcome to give an individual score for those parts, too. While it will be the main story we use in the final ratings, we'll add in a sidebar with the individual scores for each segment, so you can see how popular (or otherwise!) they are. In a strange twist of events, the 'Mighty 200' poll was conducted when the Tenth Doctor had only two more stories to come at the end of the year, and we'll be conducting our poll under similar conditions - with the final two Eleventh Doctor stories on the horizon! The survey is available in several different formats, which you can get hold of at the bottom of this post. There’s an interactive PDF, which you can fill in using Adobe Acrobat, or if you’re a Mac user, you can fill it in using Preview. You can also print out the survey form, write on manually, and then scan or photograph to send us your scores. Don’t worry - it doesn’t have to be printed in colour if you want to save your printer inks! Finally, both pages are available as JPGs, so you can open them up in Photoshop, Microsoft Paint, or any other image editor, and add your scores that way. As long as we can clearly read the scores you’re giving to each story, and they’re on the survey form, that’s absolutely fine. Please don’t just list them in the body of your email, though! Once you’ve filled in your form, you’ll need to email it to us at 50yearpoll@drwho-online.co.uk before 31st July 2013. We’ll be analysing the results throughout August, and we’ll announce them in early September. Will there be a new favourite Doctor Who story in time for the programme’s 50th Anniversary? There’s only one way to find out - get voting! Doctor Who Online were interviewed on BBC News this morning regarding Matt Smith's departure from Doctor Who. DWO reporter, Hayden Gribble was asked a series of questions about the recent news that Matt Smith would be leaving the role this Christmas, as well as who could take over the role. DWO interviews Doctor Who Actor, Calvin Dean, regarding his role as 'Ha-Ha' in the Neil Gaiman-penned, Doctor Who episode; 'Nightmare In Silver', as well as his career as an actor. 'Nightmare In Silver' sees your Doctor Who acting debut, but you've previously had an appearance in the Doctor Who spin off 'The Sarah Jane Adventures' as a Slitheen as well. What was it like working with the SJA team, and how do the two productions vary? My SJA experience was very brief. Unfortunately I didn't actually get to be the Slitheen as that was performed by Jimmy Vee. I had one scene as the “human” Slitheen and the rest was Jimmy with my voice. It was a great experience though and to work with the great Liz Sladen was a joy. I also got to meet David Tennant and K-9...not sure which was more exciting! SJA and DW are very similar in lots of ways. Some of the crew were the same and of course both produced in Cardiff. The big difference is the new Roath Lock studios which are huge and very impressive! The size of the studios is vast and I nearly wandered onto the Casualty set one day by mistake. Watch out for Ha-Ha in next weeks Casualty! You play the curiously titled 'Ha-Ha' in 'Nightmare In Silver'. Without giving too much away, could you tell us a bit more about your character and what it was like working with Neil Gaiman's script? Ha-Ha has been one of my most favourite characters to play in my career so far. Neil writes such great roles for character actors and it was so much fun. Neil's scripts all read like massive movies and you can never quite believe that it was shot in only 13 days. Each member of the platoon have totally different characteristics and we had to be told on a few occasions to rain it in slightly as we would get carried away. I wanted Ha-Ha to have a slight Action Man feel to him which made it even funnier as my physical physique clearly isn't very Action Man like! Although I can see a new line of chubby Action Men figures being released soon! Were you a fan of Doctor Who before you got a part, and if so, what is your earliest memory and do you have a particular favourite Story and Doctor? To be honest, I wasn't a die hard fan. I've known Matt Smith for over 10 years so when he took over I watched his first series, then I missed all of Series 6. When I got the job I watched all of Series 7 Part 1 whilst traveling to and from Cardiff. Of course, I'm now a big fan. My earliest memories of Doctor Who must have been re-runs during the 90's. I remember Tom Baker a lot. The Cybermen really freaked me out. Even now I find them a bit creepy (especially with their new powers!). Are there any other TV shows you would like to be a part of and do you have any other projects coming up? I'll take whatever comes along! I love jobs which involve a little bit of comedy, but I would also like to be in more serious drama like Broadchurch. I seem to have a face for horror though. I think some of the best TV is being made in America at the minute so giving it a go over there is on my to-do list. I filmed a movie called Passengers recently which will hopefully be out later this year. Finally, if you could take a round trip in the TARDIS anywhere in time and space, where would you go and why? Wow. Hard question. Part of me would love to see dinosaurs, but only if Richard Attenborough was with me (obsessed with Jurassic Park as a child). I would also want to go and watch Laurel and Hardy filming some of their classics and go to Hollywood back in the heyday. I get travel sickness though, so I don't think time travel would be for me... unless Matt Smith was there to comfort me. + Follow Calvin Dean on Twitter! DWO interviews Doctor Who Actor, Warwick Davis, regarding his role as 'Porridge' in the Neil Gaiman-penned, Doctor Who episode; 'Nightmare In Silver', his career as an actor as well as the upcoming Star Wars movies. You've worked your way through some of the biggest cult Movies and TV Shows of all time, how did you feel adding the Doctor Who notch to your belt? I am very fortunate in my career to have been involved in some amazing projects - among them, some really big franchise movies. Getting a role in Doctor Who has been a career ambition ever since I can remember. I was such a fan of the programme when I was young, and I always imagined being The Doctor. I used to borrow my dads old tyre pressure gauge which looked a lot like a sonic screwdriver and stand in my wardrobe, pretending it was the Tardis. Trouble was, it actually felt smaller on the inside! I met Jon Pertwee when I was about eight and worked with Tom Baker on the BBC series 'The Silver Chair'. I suppose Tom was 'my' Doctor much in the same way people refer to 'their' James Bond. Without giving too much away, can you tell us a bit about your character Porridge in 'Nightmare In Silver' and what it was like working with a script from the legendary Neil Gaiman? Porridge is a very interesting character, with a cool back story. All I can say is, he's quite an important person universally. Neil Gaiman's script is fantastic and it was a pleasure to play the scenes he wrote. And he included Cybermen - what more could I ask! I sincerely hope the fans enjoy it. I've already received a very warm welcome from them, even before the episode has aired which I hope will continue after they've seen it. With a new series of Stars Wars movies now confirmed, would you be up for a return to the galaxy far, far away? Of course, I'd love to. I'd like to play a villain...with a lightsaber. Now that would be cool! The 'Life's Too Short' special was fantastic (as was the first series) can we expect any more, and what other projects do you have coming up that we can look out for? The special is it, for now. It's down to schedules and timing. Ricky and Stephen are busy people, but we all enjoy working together, so if we can find time, we'll do more. I am currently developing several documentary series, and a radio show. I have my own YouTube channel called 'The Multiverse'. 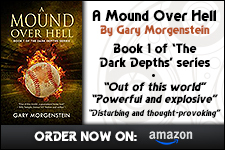 It's the home of sci-fi and fantasy comedy for the geek in all of us. We are producing some brilliant, original shows (many of which I am in too). Please check it out and SUBSCRIBE for free to be the first to see brand new episodes. I am soon to start shooting a 10 part fantasy / comedy series I have written, and will be directing and appearing in. It's called 'Dwarves Assemble'. I also have a new company that sells exclusive signed memorabilia, in particular, for the first time anywhere, licensed 'Harry Potter' autographs. There is a lot of cool stuff there already, and I'll be adding more all the time. Check it out here: www.thesignatureshop.co.uk. I'd like to check out old London around the time of the plague. I know it sounds odd, but I've always been fascinated by that period in history and I think it would be good to wander around for a bit and take in the atmosphere (not the plague though). + Buy Warwick's 'Size Matters Not' Autobiography on Amazon for just £7.19! + Subscribe to 'The Multiverse' YouTube Channel! + Follow Warwick Davis on Twitter! Episode #289 of the DWO WhoCast, Doctor Who Podcast is Out Now! Dave, Elizabeth and Thomas take a Journey To The Centre of the TARDIS. Whilst lost in the depths of the time machine, Thomas finds a copy of Festival of Death by Jonathan Morris to review, Dave finds Dean clutching a copy of the latest Big Finish / AudioGO title; Destiny of the Doctor: Babblesphere and have a listen together whilst somewhere near the Eye Of Harmony, Elizabeth reads the Third Doctor eBook The Spear of Destiny. Only Elizabeth makes it back and she is so distraught that she settles down with Michelle to watch The Ribos Operation. Episode #288 of the DWO WhoCast, Doctor Who Podcast is Out Now! Dave and Thomas Hide as Elizabeth and Michelle face The Talons of Weng-Chiang before Elizabeth and Dean meet up to discuss it all with Jago and Lightfoot. From the latest series starring Matt Smith to a classic Tom Baker story and the popular Big Finish range of Jago and Lightfoot stories, the DWO Whocast looks at Doctor Who from all angles. Episode #287 of the DWO WhoCast, Doctor Who Podcast is Out Now! Dave and Thomas got all hot under the collar about this week's Doctor Who as the Ice Warrior's reappear to fight a Cold War in Mark Gatiss' latest story. New DWO 50th Anniversary Doctor Who Spin-Off Audio Adventure Needs YOU! Open auditions for 'One Fine Time Lord' - a brand new 45 minute full cast audio drama starring some familiar faces and... YOU? It’s official! Doctor Who Online have teamed up with Children in Need, the production crew involved in the new series of Doctor Who Online Adventures and two top radio drama producers to produce a unique, one-off, 45-minute Doctor Who audio drama spin-off to celebrate the 50th Anniversary, titled 'One Fine Time Lord'. This, however, is the best bit - we are now looking for actors & actresses both young and old to audition for the various parts! No specialist experience is required as it is an OPEN audition! The auditions will be held in Cambridge on 27th-28th April 2013, so if you ever fancied having a go at acting - NOW's your chance! What type of cast is the production team looking for? - Female Actresses aged between 20-40. - We are looking for standard British accents (how very Gallifreyan of us). Ok! Ok! I’m interested how do I get an audition? 1) We’d like you find a famous speech and adapt it. Instead of reading it in it’s original context you will be reading it out to a panel of senior Time Lords! So maybe you could find a speech from a King or Queen? A piece of Shakespeare or maybe a hero of your own and then give it your all. 2) We will obviously be finding out a little about you and why you’ve come to audition but we will also get you to read sections from the script. 3) And the third... Well the third we’ll keep a secret until the day but it will involve improvising! These auditions will be fun so don’t feel nervous and we will let you know on the day if you have been shortlisted. Please note that you may be asked to come back and do joint readings with other hopefuls but shortlisting does not guarantee you a part. Auditions should last around 20 minutes per person (depending on the response). The recording date for 'One Fine Time Lord' will be: June 3rd/4th and possibly 5th, it will be recorded in the evening, not during the day - the recording will also take place in Cambridge. Good luck and book EARLY to avoid disappointment. Episode #286 of the DWO WhoCast, Doctor Who Podcast is Out Now! Dave and Thomas are transported to The Rings of Akhaten where they witness The Doctor and Clara battle an ancient evil for the soul of a young girl meanwhile Elizabeth and Michelle are stuck in the past with The Doctor and Sarah Jane in Tom Baker's first adventure Robot. It's like a podcast version of Mawdryn Undead except it isn't really. Episode #285 of the DWO WhoCast, Doctor Who Podcast is Out Now! Doctor Who returns to our screens in an adventure that sees him travel past (and up) some of London's most notable landmarks to save new companion Clara but has the latest episode been worth the wait? Dave, Elizabeth and Michelle have a ding dong over The Bells of Saint John before our own Belles (see what we did there) Elizabeth and Michelle travel back to the era of Jon Pertwee to encounter The Daemons. Episode #284 of the DWO WhoCast, Doctor Who Podcast is Out Now! UNIT. How does it fit into the story of The Doctor? Is the Brigadier the ultimate companion or is he more than that? Dave, Elizabeth and Thomas have a good natter, Elizabeth offers her opinion of The Second Doctor eBook The Nameless City and Dave and Dean are intrigued by the third Destiny of the Doctor release Vengeance of the Stones. Episode #283 of the DWO WhoCast, Doctor Who Podcast is Out Now! Jo Grant has long been thought of as a dolly bird with trendy gear and huge eyelashes but Dave and Elizabeth think that there is more to The Third Doctor's assistant played by Katy Manning. Their discussion looks at the young girl who arrived in Terror of the Autons, her journey to become the idealistic woman of The Green Death and beyond to The Scorchies, the latest Companion Chronicle from Big Finish. Win an exclusive package of jungle souvenirs, all signed by Colin Baker! 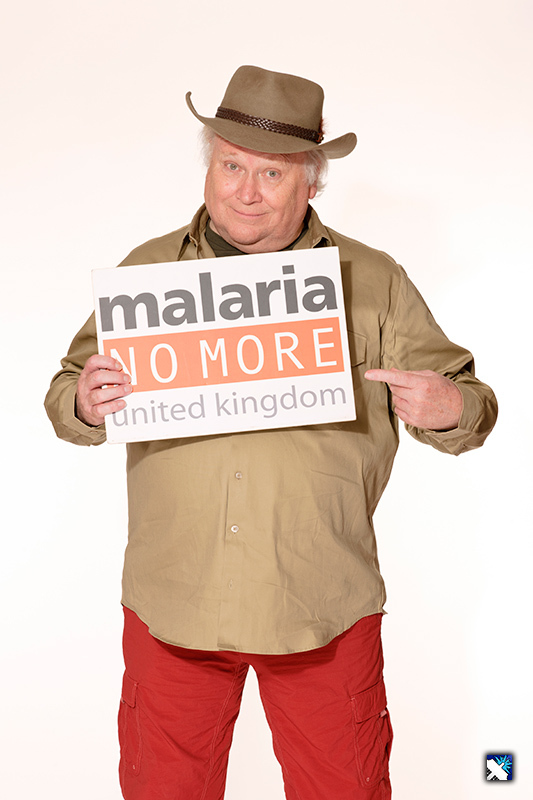 Ex-Doctor Who star, Colin Baker (The 6th Doctor) has signed and donated a package of special jungle souvenirs for this exclusive DWO competition in support of Malaria No More UK – the beneficiary charity of I’m A Celebrity... Get Me Out Of Here! The jungle package includes a mess eating tin, a bandana, a Malaria No More UK t-shirt and a photo, all signed by Colin! To enter the competition, simply answer this question: What is the name of the charity supported by Colin and the other I’m a Celebrity contestants? Email your answer, along with your full name to info@malarianomore.org.uk with the subject line: ‘Colin Baker Competition’. Malaria No More UK will contact the winner of the competition using the email address provided within one week of the closing date. If the winner has not responded within one month of the closing date, another winner will be chosen. Malaria No More UK & Malaria No More UK Trading Ltd will use your personal information in order to process your entry to the competition and to keep you updated on the progress in the fight against malaria and how you can help. By entering this competition, you are agreeing to receive occasional email updates from Malaria No More UK & Malaria No More Trading Ltd (You can unsubscribe at any time). If you would prefer not to receive these email updates please include NO EMAIL in the body of your email. In Episode #257 of the DWO WhoCast Podcast, Dave and Siobhan bring you the second part of the two-part interview with Doctor Who Fan and Script Consultant; Ian Levine. 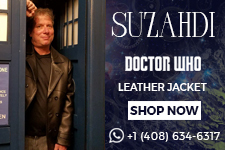 Over the years Ian has been a somewhat controversial character in Doctor Who fandom, and for the first time, we are able to hear his complete story, "warts and all", in this two-part DWO WhoCast Interview Special. + Listen to Episode #257 of the DWO WhoCast here!